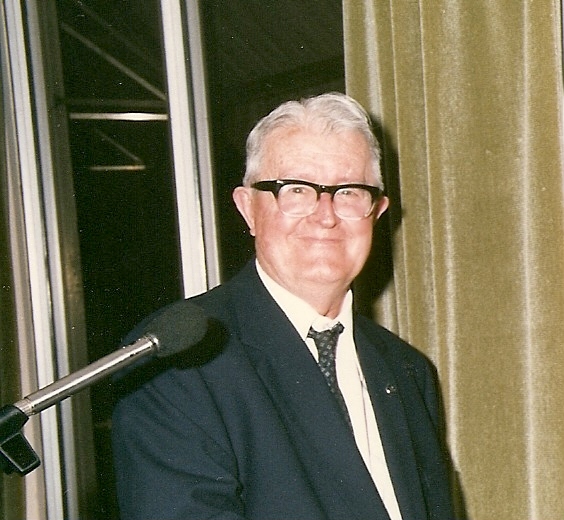 Leo was the Patron of the Queensland Branch of the society. He was a gentleman in truest sense of the word, and remained so throughout his life. The nephew of Vincent Reed, founder of Reed’s Rare Bookshop in Brisbane city, Leo, together with his brother Frank, ran the bookshop after the demise of their uncle, also an avid numismatist. In all the years that I knew Leo, I never once heard him raise his voice in anger. He always did his best to attend meetings over many years and committee meetings also. He was a calming factor to everyone who knew him. Well known for his fair dealing and quiet attitude he was somewhat of an expert on classic Roman coinage but would never ever admit to being so. He, in his own words, ‘knew a little bit about Roman coins’. He was also the holder of the societies Silver Medal.